Are easy to use and are precise devices, available for everyone. 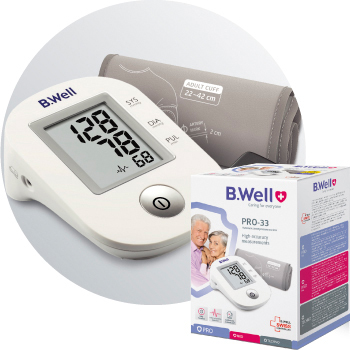 Have advanced functions to control the health of the whole family. Have the advantages of state of the art technologies. Comfortable measurement and exact result! 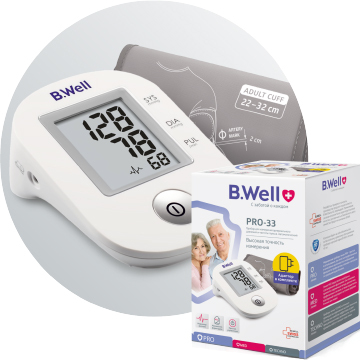 B.Well blood pressure monitors — affordable devices for monitoring arterial pressure and health protection of your family. 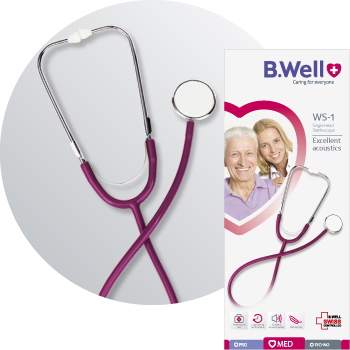 Versatile device for auscultation of children and adults. 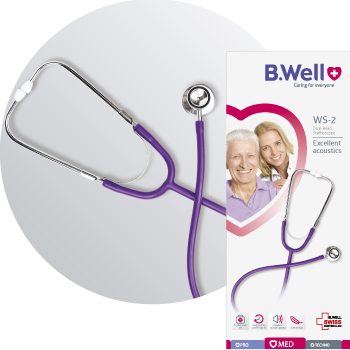 High sensitivity allows distinguishing high-pitched and low-pitched sounds and slightest murmur easily. 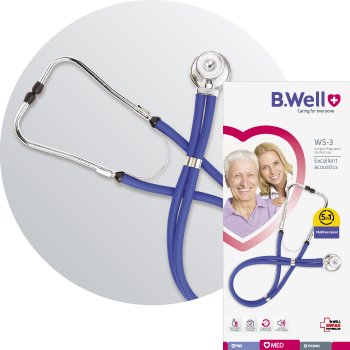 Multifunctional stethoscope furnished with 3 different sized bell chest pieces, spare plastics membranes in 2 different sizes, 3 different spare ear tip sizes. High acoustics properties, regular shape of a chest piece, 2 separate leak-free sound-conducting tubes provide for separate sound transmission from a chest piece into each ear. 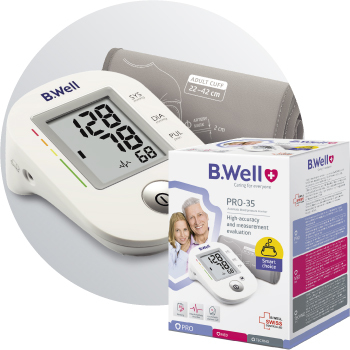 PRO Blood pressure monitors are easy to use and precise devices, available for everyone. 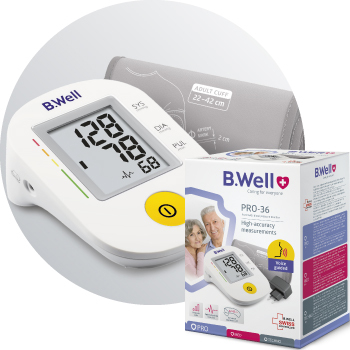 PRO line represent entire range of blood pressure monitors —automatic and semi-automatic models as well as wrist blood pressure monitors. 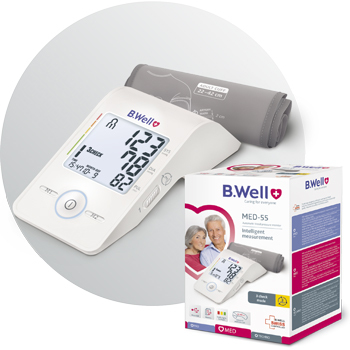 MED blood pressure monitors comprises devices with advanced functions.  They enable you to apply up-to-date diagnostic methods for health monitor. Backlight display, blood pressure indication scale, enhanced memory, 3Check technology — are the advantages of MED devices. 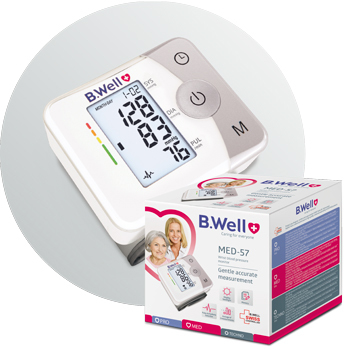 TECHNO medical devices have the advantages of state-of-the-art technologies. That is why they are highly effective and offer breakthrough opportunities enabling you to care for every member of your family. 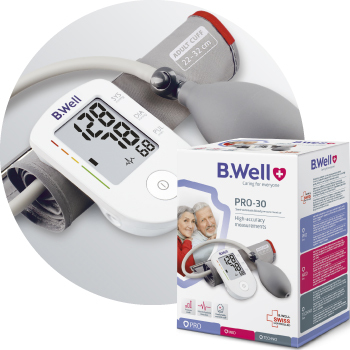 B.Well Blood pressure monitors — a reliable protection for your loved ones. 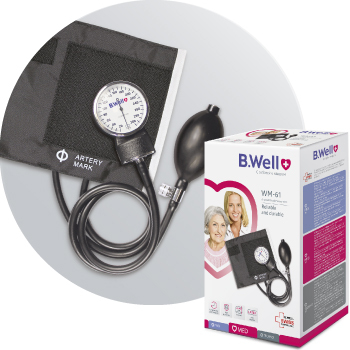 B.Well lines represent all types of blood pressure monitors for home and professional use. 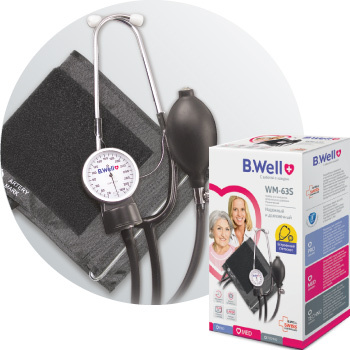 Automatic blood pressure monitors are for home and professional use. 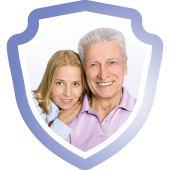 They are precise, reliable, have functions which are important for monitoring the health of your loved ones. 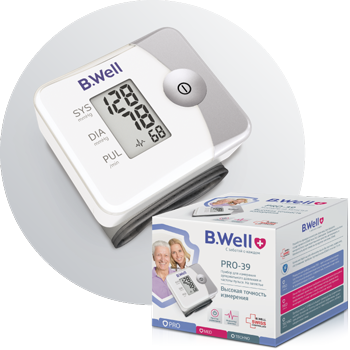 Semi-automatic blood pressure monitors are easy to use and affordable for every family. They are ideal for anyone who prefers the classic measurement method. 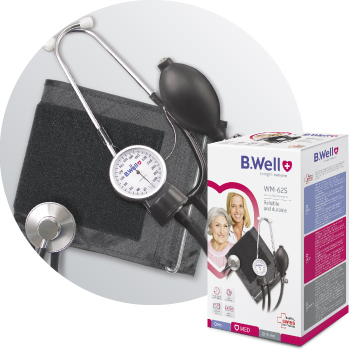 B.Well aneroid sphygmomanometers have gained trust and popularity among healthcare specialists in many countries. These devices meet high accuracy and reliability standards.